Attorneys still can’t personally lie or deceive, but they can now guide and advise others to use deceitful actions “in lawful investigative activities”. Activities and investigations by the Jefferson County District Attorney’s Office and the Colorado Attorney General’s Office triggered a change in the Rules of Professional Conduct relating to Attorneys. For years these offices used lies, fraud and deceit under the guise of law enforcement to investigate and prosecute people for a variety of crimes. Once their unlawful activities were brought to light they stopped using those tactics and lobbied the Colorado Supreme Court to change the rules. They are now back in business. Under the modification that went into effect September 28, 2017 the Colorado Supreme Court ethics rules now allow lawyers to engage in conduct involving dishonesty, fraud, deceit or misrepresentation when advising law enforcement officers, investigators or clients during “lawful investigative activities”. A definition of “lawful investigative activities” is not provided. Your definition of what is a lawful investigative activity may be much different than others. Also noteworthy is the fact that this rule change applies to all attorneys in Colorado, not just those dealing with law enforcement. Bradley A. Stephenson is a proud 26 year member of the Colorado Criminal Defense Bar. 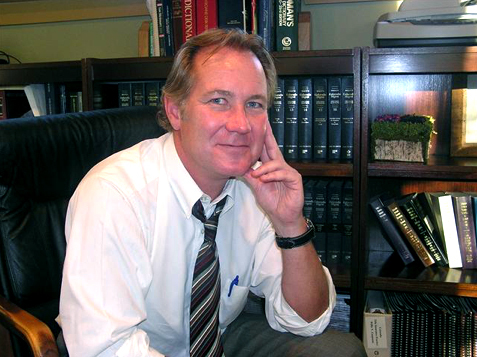 He practices law throughout Colorado and the 10th Circuit Federal Courts.